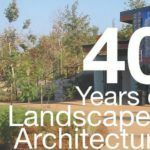 2017 is the 40th year the Landscape Architecture Program has been offering courses here at UCLA Extension. As part of that celebration, we are putting on two celebratory events. Both events will take place on Saturday March 25th. The ticket site up – join us for a lovely day of food, presentations, and friendship. Proceeds from both events go to fund our Scholarships! The first event is the Alumni PechKucha Presentation. PechaKucha is a simple presentation format where presenters show 20 images, each for 20 seconds. The images advance automatically and presenters talk along to the images. The presentation format was devised by Astrid Klein and Mark Dytham of Klein Dytham architecture. Presentation topics are focused around alumni’s professional experiences since graduation. 1010 Westwood Blvd. 4th floor. The second event we are hosting is an Alumni Gallery Show and Opening Reception. The Gallery will showcase and display alumni projects throughout the years. The Gallery Opening Reception will feature work from Mia Leaher and Associates, Gruen Associates among others who have graduated from the program. This gallery show will be open from March 26 – April 23, with the Opening Reception on March 25, 4-6pm.